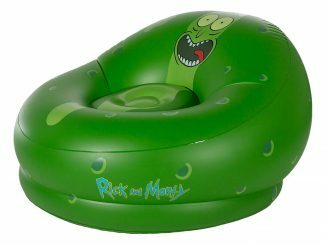 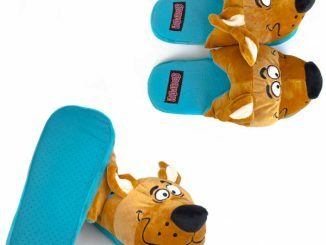 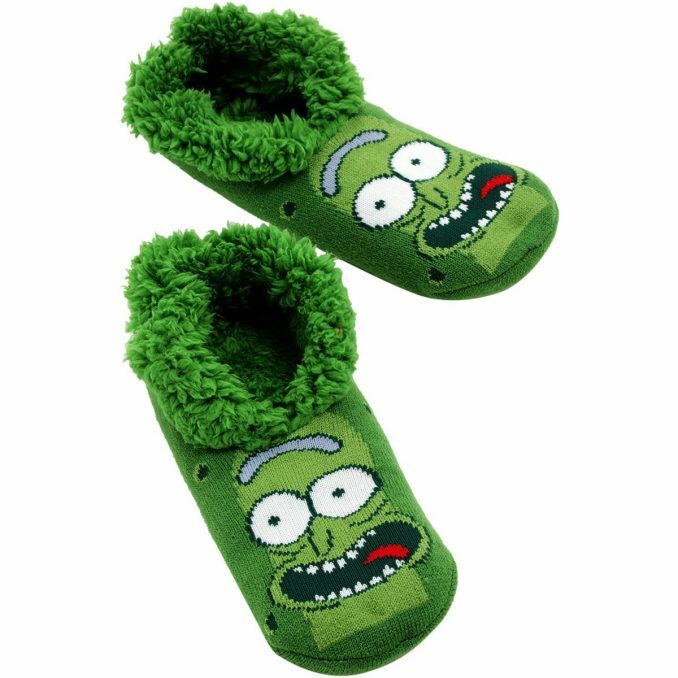 While you play the Pickle Rick Game while resting on a Pickle Rick Pillow and looking at your Pickle Rick Ornament hanging from the Christmas tree, you better be wearing these comfy Rick and Morty Pickle Rick Cozy Slippers. 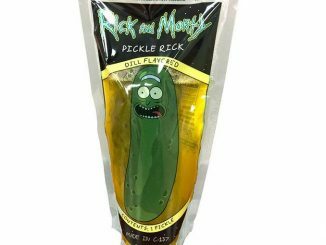 Made of 100% acrylic these Pickle Rick slippers are soft, comfortable, and guaranteed to make you get schwifty. 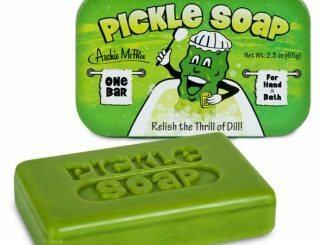 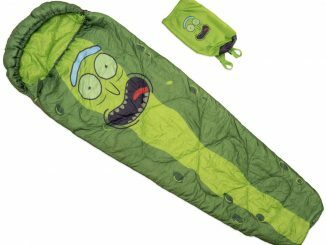 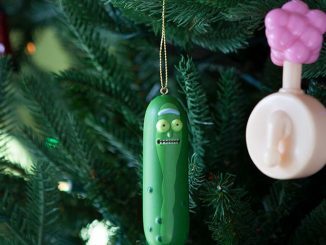 Who knew walking on Pickle Ricks would be so soft and comfy? 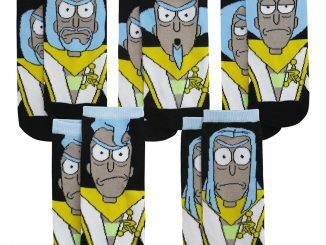 These slip-on Rick and Morty slippers are green and fuzzy. 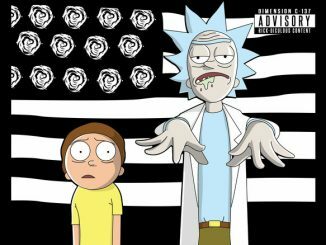 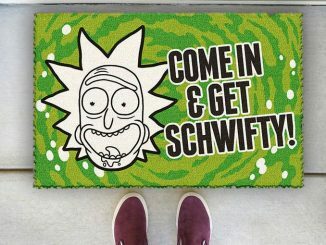 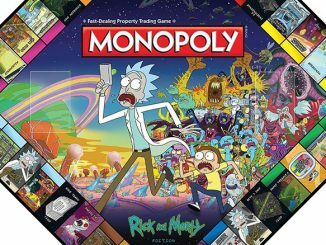 Don’t forget to wear these when getting schwifty. 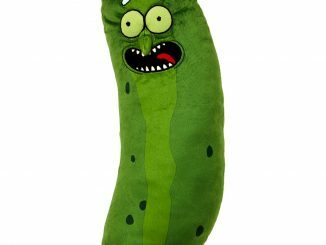 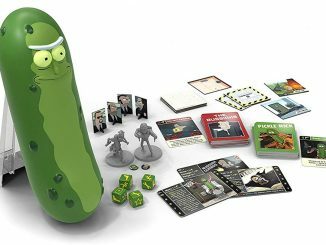 Rick and Morty Pickle Rick Cozy Slippers are available exclusively from BoxLunch where they retail for $14.90.